"Embracing the Challenges of Broadband Energy Crisis"
Key components to improve energy efficiency are technologically advanced and more efficient power supplies that can help in reducing energy consumption . Even though the broadband industry is largely focused on the rapid global expansion of broadband networks and its offerings, growing broadband energy consumption has not gone unnoticed. 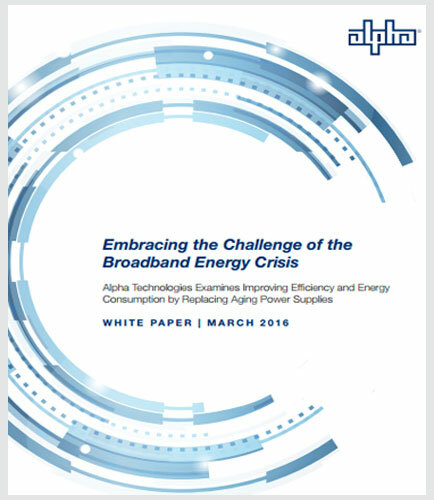 Read this insightful whitepaper that brings you the ways to improve energy efficiency and embrace the challenges of broadband energy crisis.